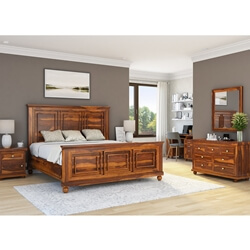 Create a warm and welcoming feeling in your bedroom with the Jamaica Bedroom Set. 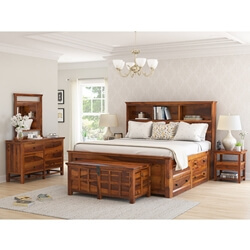 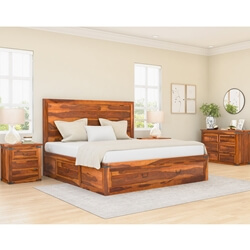 Our Master Artisans handcrafted the 5 piece bedroom set from solid Rosewood. 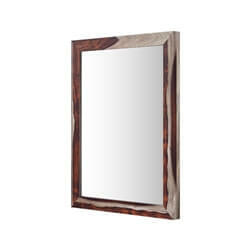 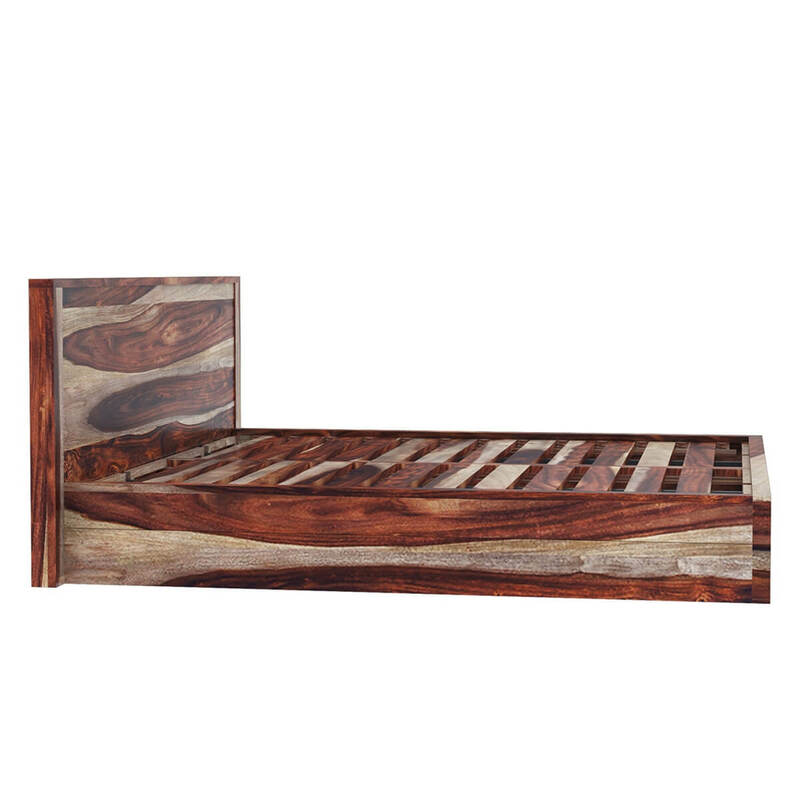 It is finished off with hand-rubbed stains and finishes to highlight the beauty of the wood. 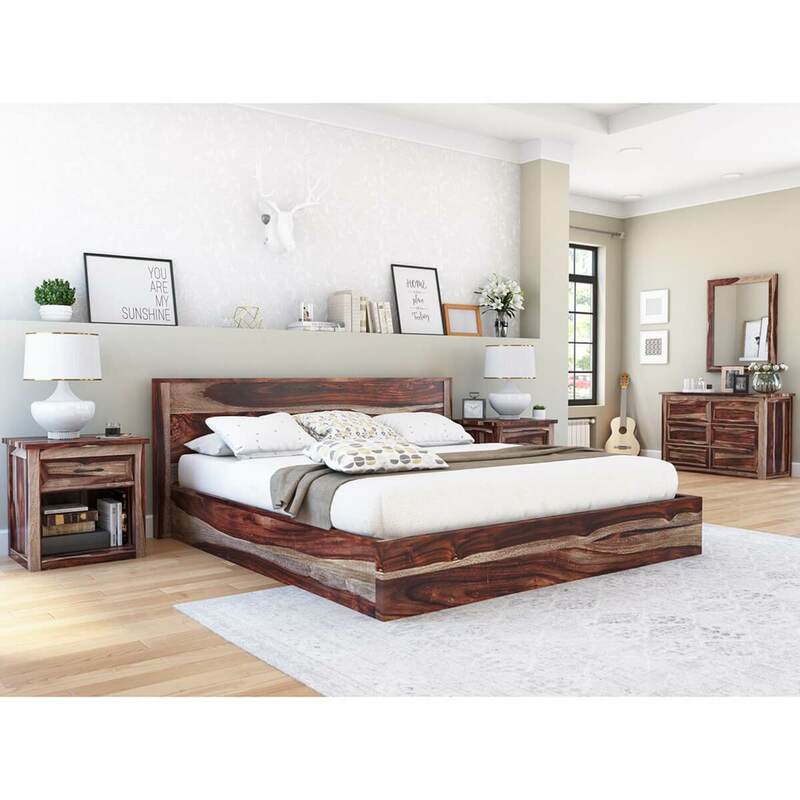 The exquisite handcrafted workmanship highlights wood grains, making this collection an heirloom piece to be handed down throughout the generations. 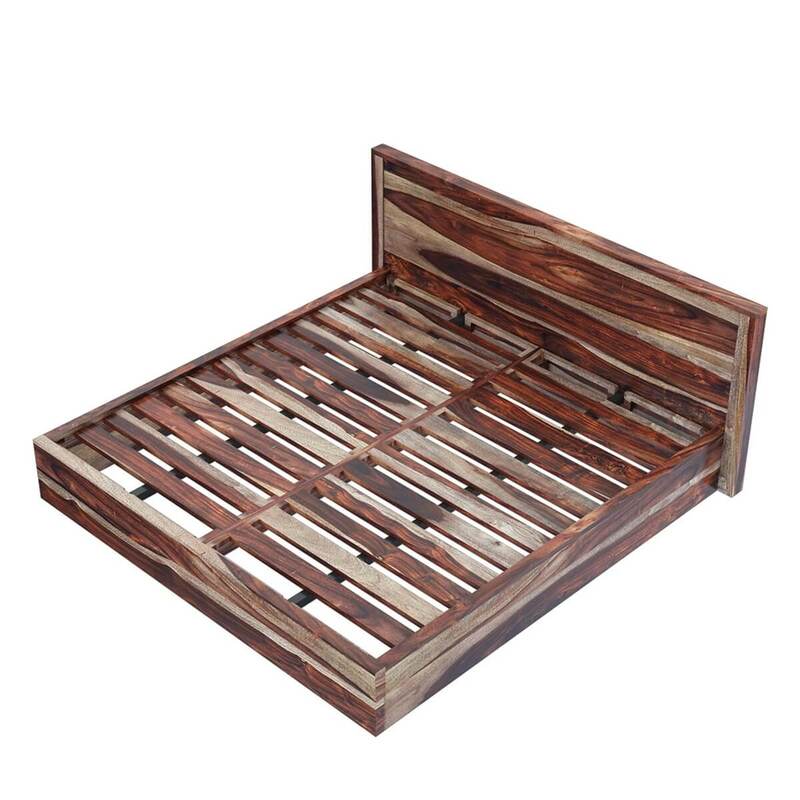 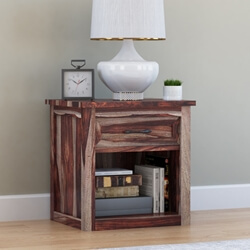 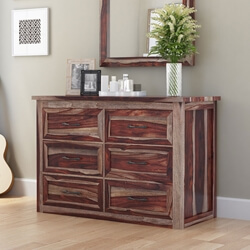 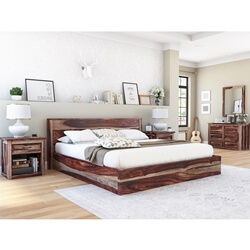 The beautiful solid wood furniture has a rustic feel with the natural Rosewood grains. 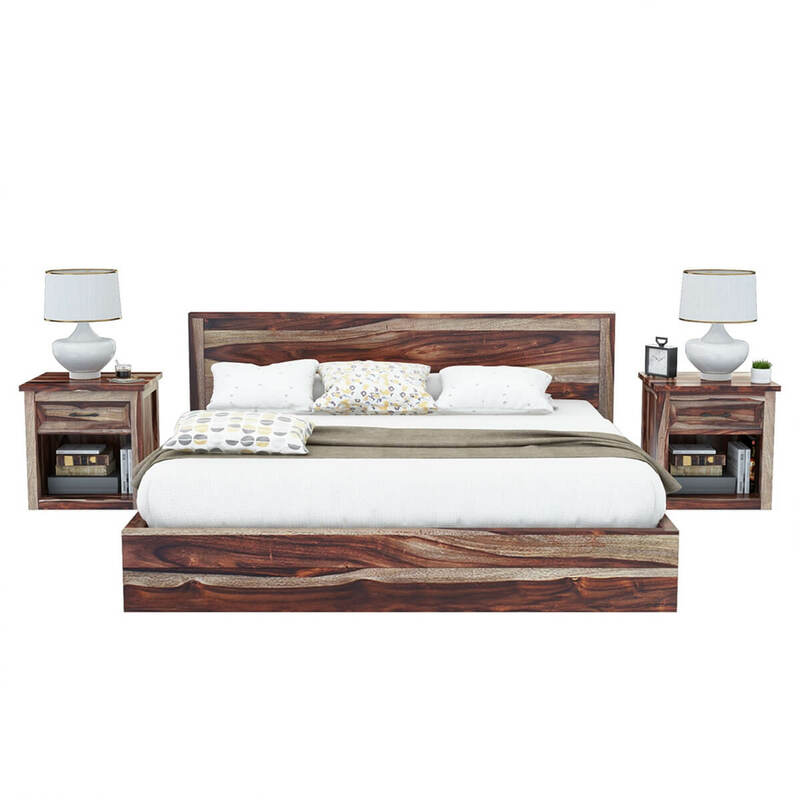 Each piece of furniture will be unique, as the grains are all individual to the tree and cut of wood. 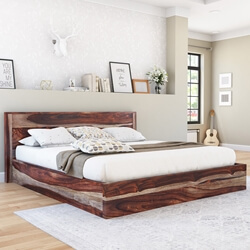 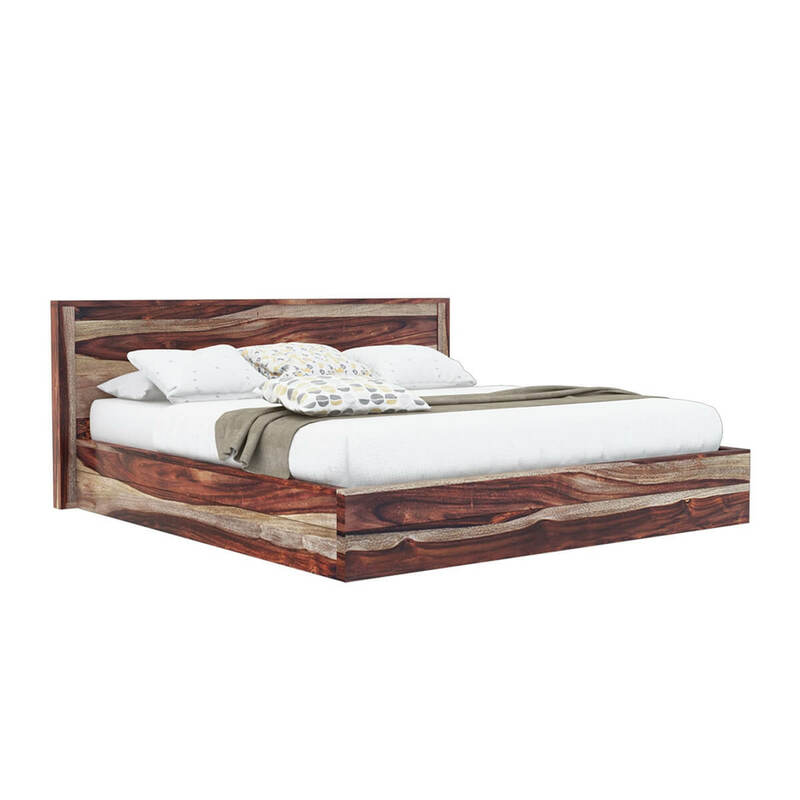 Adorn the solid wood bed’s sides with two nightstands that come with a single top drawer and hand forged metal handle, as well as an open cubby for books, electronics, and other larger items. 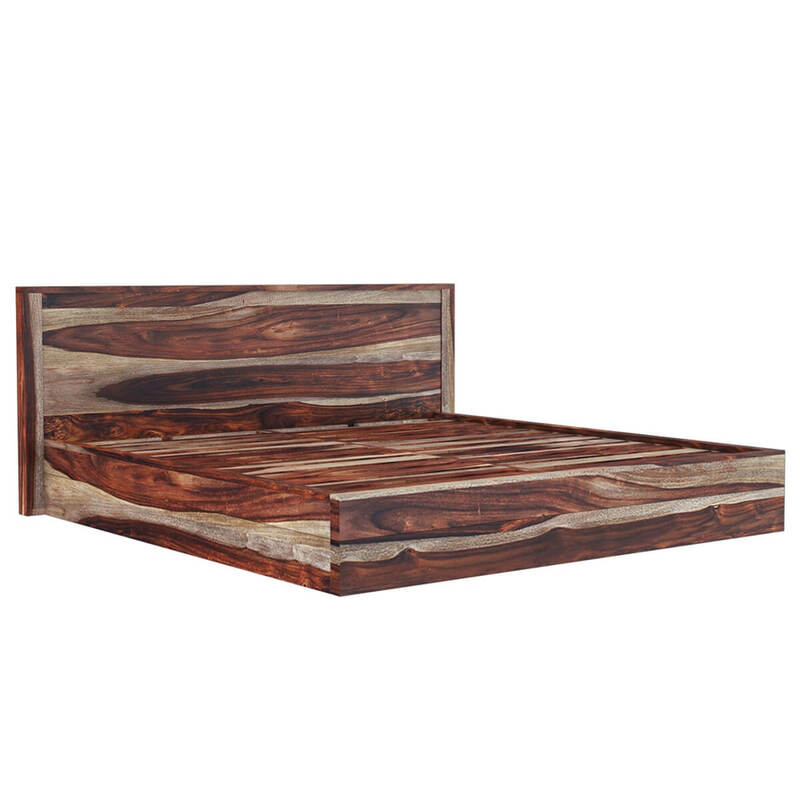 The six drawer dresser shows off the beauty of the Rosewood’s grains while being very practical with the storage. 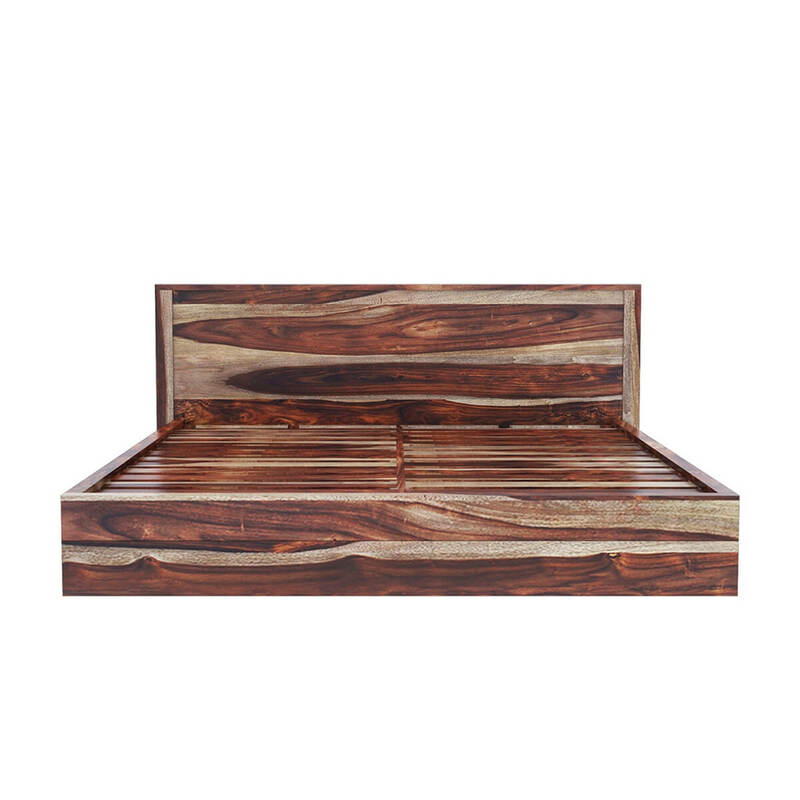 The drawers have hand forged metal handles to complement the look.